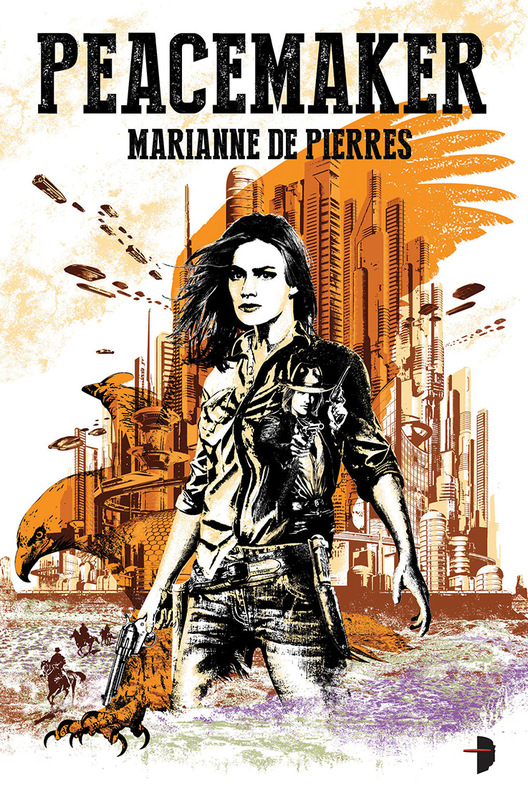 Back in 2014 when I read and reviewed Marianne de Pierres’ latest novel, the genre-mashing-spaghetti-western-science-fiction-and-the-rest: ‘Peacemaker’, I asked for more. More of everything. More street politics, more insight into the large cast of fascinating side-characters, more of the government conspiracies. Peacemaker was just so much fun, so fast and entertaining, but it felt like the tip of the iceberg. The world de Pierres had created was so vast, Peacemaker just didn’t feel like it was long enough. I didn’t want it to end. But now, we have ‘Mythmaker’. And, as readers, we get the more I was after. And then some. Virgin’s in a tight spot. A murder rap hangs over her head and isn’t likely to go away unless she agrees to work for an organisation called GJIC (the Global Joint Intelligence Commission). Being blackmailed is one thing, discovering that her mother is both alive and the President of GJIC is quite another. Then there’s the escalation of Mythos sightings and the bounty on her head. Oddly, Hamish is the only one she can rely on. Life is complicated. While caring for Birrimum Park – the last remaining natural habitat – as Park Ranger in a futuristic world is still Virgin’s true passion, she spends more time away from it (by necessity) in order to save it this time around. We see more mythology combined with the hi-tech gadgetry, weapons and conflict. We also get more of the fabulous cast of supporting characters; some return from Peacemaker, plus a couple of newbies to spice things up and allow us to get to know a different side to Virgin. Her brilliant cowboy/secret agent partner, Nate SixKiller is back, as is the mysterious Hamish (who gets even more mysterious), and we learn there’s even more to the ex-lover, formally known as Heart, than we already did. I can easily say that while I very much enjoyed Peacemaker, I adored Mythmaker. It’s like nothing else I’ve read before. The mashing of genres, the world, the action of the city and the solace of the park, the suspense and the detective work. 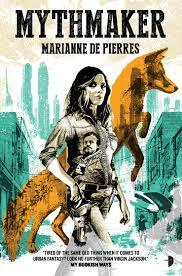 Marianne de Pierres makes this type of story-telling an art-form, but best of all, she does it with characters and relationships you can’t help but fall in love with. And still…I want even more. Book 3, please!